By the time Kris was ready to start the seventh grade at Plaza Middle School, it was the 10th school he attended. Eighth-grader Aly had been in five different schools throughout her educational career, and high school junior Julian is on his eighth school. All three are children in military families, and they were able to share their experiences as part of a student panel at the education symposium, “Supporting Military-Connected Students: Resources to Guide Successful School Transitions.” The event was hosted by Military School Liaison Officers and the Virginia Department of Education and brought together school counselors from divisions across the state to learn more about meeting the unique needs of military children. 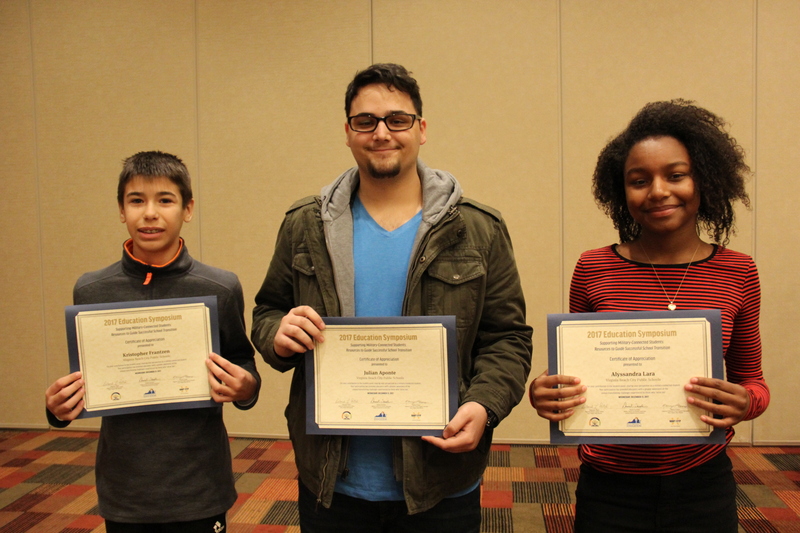 Kris, Aly and Julian are all Virginia Beach City Public Schools (VBCPS) students, and shared openly about some of the struggles that come with being a military child. They said the constant moving, the stress of deployment and having to routinely say goodbye to friends were all very difficult. Combined with those obstacles is the fact that school divisions in different parts of the country have different curriculums, standards and procedures. “I think the hardest part is having to learn new things because you’re not exactly learning the same things,” Kris said. The student panel was just one part of the symposium. 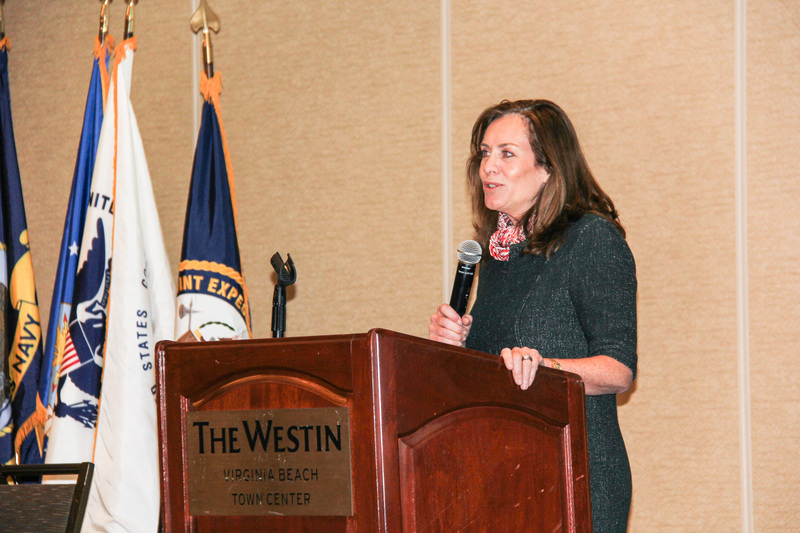 First lady of Virginia Dorothy McAuliffe spoke with the counselors directly, and thanked them for helping to ensure military families have as smooth as transition as possible when moving to the Commonwealth. 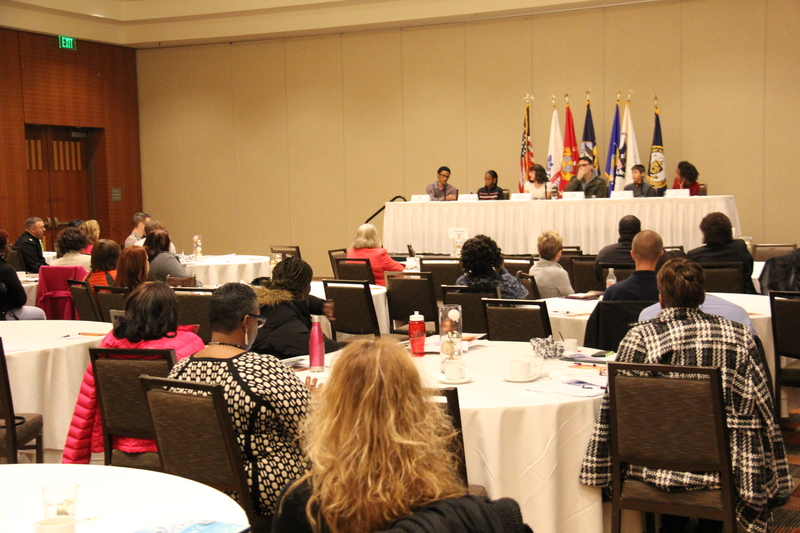 The symposium also featured a presentation from VBCPS Military-Connected School Counselor Amanda Yoder. 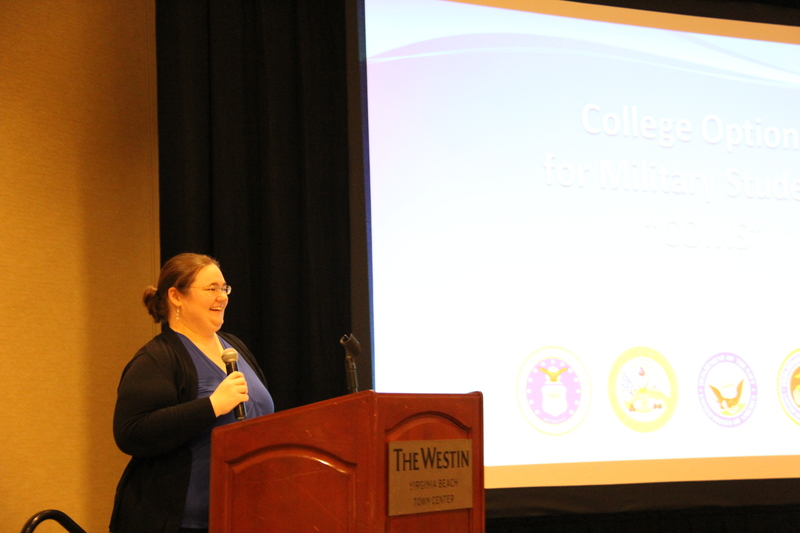 Yoder presented, “College Options for Military Students,” which detailed college options available for military families and best practices for scholarships, utilizing the GI Bill and transferring colleges. For Yoder, the need for this information hits close to home. For more information about the services and resources available for military families here in Virginia Beach, visit vbschools.com/military.